Community health workers labour at the frontline of the health system, yet there is little discussion of the ways in which their role is gendered. In this blog we explore how gender norms and relations effect the quality of data that community health workers collect. 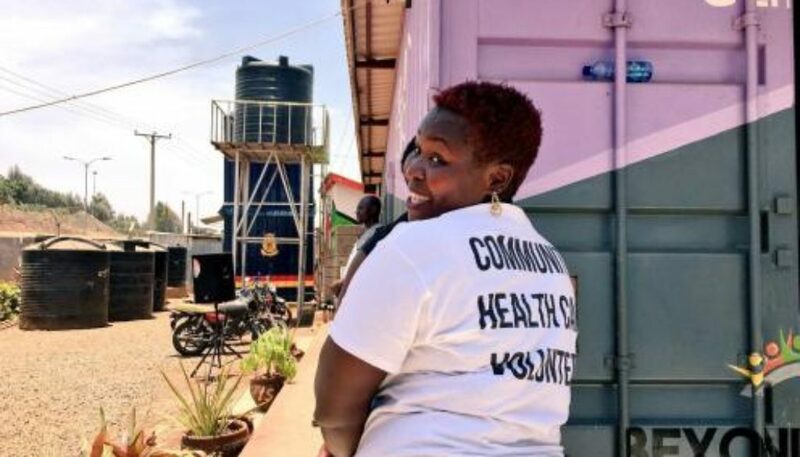 A key role of Community Health Volunteers (CHVs) in Kenya is to refer women and children to primary healthcare facilities for essential health services such as antenatal care, skilled delivery, postnatal care, immunization, and growth monitoring. As they carry out this role, CHVs collect data at community level in a tool designed by Kenya’s Ministry of Health – they are expected to report this data on a monthly basis. This should be a source of data provided at regular intervals that is used by policy- and decision-makers. However, for data to be useful it needs to meet certain standards in terms of quality. Some of the most commonly referred to dimensions of data quality include accuracy, reliability, completeness, timeliness, integrity, and confidentiality. Numerous frameworks and tools exist to measure data quality, these often assess the hardware elements of community health programmes such as availability of data collection and reporting tools, training in data management, supervision systems, accountability and communication structures. They often neglect the software elementsof community health programmes that relate to the ideas, interests, relationships, power, values and norms of the health system actors. There is an increasing body of literature (and here, and here) that documents how gender norms and relations impact on community health programmes; with many examples of how community health workers of a certain gender, may or may not be, accepted by the community that they serve. Still, the implications of gender on CHV performance have been less explored. Focus group discussions to explore data quality, conducted with CHVs in rural and urban sites in Kenya, as part of the five-year international REACHOUT research project, revealed direct impacts of gender on the quality of data reported by CHVs due to gendered barriers in data collection. It is clear to see that the examples provided here impact immediately on dimensions of data quality such as accuracy, completeness, reliability and confidentiality. When CHVs are not able to openly discuss important health issues due to cultural or gendered norms, they are unable to fully assess the health status of their clients, which is reflected in the data collected. There is a need to explore and further establish the effects of gender on data collection and what this means for reporting, so that findings are incorporated in training and supervision of CHVs. Sensitization of communities to the role of CHVs is also important so CHVs are able to comfortably and effectively deliver the full set of services to all community members regardless of their gender, and collect the complete sets of data that they are expected to. With appropriate support, CHVs may be uniquely positioned to able to work together with their communities, both in rural and urban settings, to transform these harmful attitudes that prevent CHVs from fulfilling their roles.